I am writing this on request. It’s hectic at Howlett Towers and this will likely be the last #evilplans post here before we launch the real #evilplans on 1st May. Keep your eyes peeled. SAP announced its Q1 FY2013 results earlier today. Despite missing the consensus revenue forecast by some five percent, I was more concerned with the detail. This is important for a number of reasons that I will discuss over time. First, it is important to remember that all vendors, regardless of size, should be subject to financial sanity checks. Buyers need to know that the companies they buy from have a long term future. 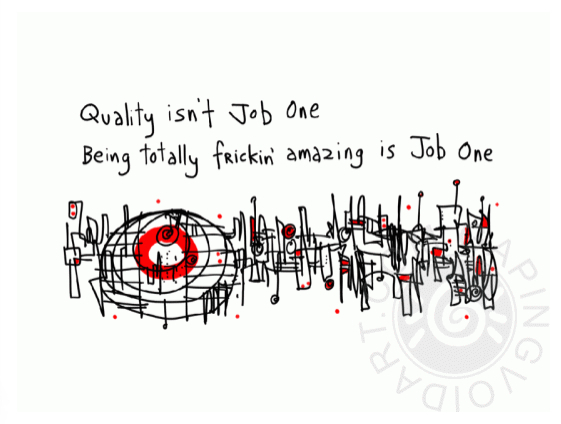 That is especially true for companies that run their back office with a single supplier. Here, I define ‘back office’ as accounting, HR admin and CRM admin functionality. These are the core ‘things’ that all large businesses need in order to develop an efficient organization. They represent the backbone functions upon which all businesses depend and which provide the way in which they pay and get paid for the goods and services provided. SAP is no exception. Next, and as promised, SAP adopted a method of reporting that gives better visibility into its sources of revenue. This makes it much easier to understand the trends and business drivers, leaving less room for speculative forecasting or interpretation. On to the numbers. My initial analysis suggests that SAP’s core ERP, BusinessObjects and Sybase businesses are declining. There was a fall of around six percent in revenue for these core items on a year over year basis. This amounted to some €38 million. In an analyst call, the company attributed this entirely to activities in Asia Pacific. I have to take SAP at its word but I have been predicting that without a significant refresh, SAP runs out of steam on core ERP by 2017. Elsewhere, while attention continues to be focused on SuccessFactors and HANA, I wonder what’s happening with Business ByDesign. Provides a way of radically simplifying the landscape. Quoting SAP’s own implementation of HANA, Snabe claimed the company has reduced hardware cost from €3.8 million to €0.5 million. That’s fine but then I don’t know how much HANA was needed to achieve these savings. Neither do I know the amount of retrofitting and testing necessary to achieve those savings. If SAP is to convince and benefit, then it MUST share benefit with its customers. That means ensuring that simplification also translates into reduced implementation cost. Times five software license cost will NOT cut it. As a side note, I hear that Cisco is offering ‘free’ HANA boxes to kick start its entry into the market. IBM is in the process of divesting its server business to Lenovo. That should remove another cost pressure point. Extending the traditional business. SAP is selling BusinessWarehouse on HANA very hard. Accelerating the warehouse provides incremental value although that can amount to millions of dollars/euros in value. If SAP gets Business Suite on HANA into full production for the summer then the picture changes as SAP is then able to offer real time operational systems. This will put them firmly into competition with the cloud players which already have real time capability while providing a safe haven for those who may feel under pressure to move to the cloud but are nervous about the implications. 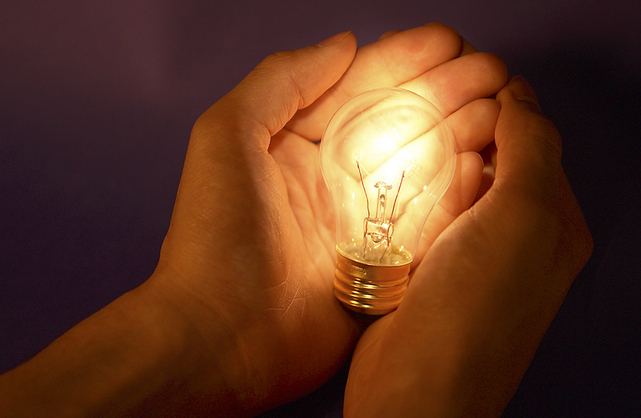 Open innovation – new solutions. This is the part that SAP has yet to flesh out and about which Snabe is not fully prepared to discuss. The last year, I, along with my video partner Jon Reed, have been following SAP’s startup support efforts in this business unit. We have found a number of good examples. Only the other day I met Warwick Analytics who have a fledgling solution for discovering root cause quality problems in manufacturing industries. More to come on this but the solution we discussed is genuinely exciting. The other week, I caught up with Basis Technologies. They are working on predicting customer propensity to complain or leave in energy utilities. In both cases, the business value runs many millions of dollars/Euros. And that is just two examples. My personal view is that regardless of the value HANA may bring to Business Suite and BW customers, the biggest potential is in this area of new solutions. It is SAP’s to win…or lose. SAP is selling SuccessFactors hard and accelerating the onboarding of users for Ariba. The results speak for themselves. Cloud revenue is at an annual run rate of €900 million. Having said that, there is plenty of controversy surrounding SuccessFactors. I routinely hear of tensions between SAP and the implementation channel where the smaller SIs are ignored in favor of the big hitters. Then there is the question about how well SuccessFactors integrates back to core HR and/or whether the newer SuccessFactors products will be sold in as replacements. For now and tensions aside, SAP is leveraging its customer base well. ByDesign is a different story. On our call, Snabe talked about wins against NetSuite and Salesforce.com on products that are subsets of the main BYD suite, including Sales OnDemand. I can point to wins the other way. Snabe said that the mid range is continuing to buy functions with finance leading the way. I find this depressing. The cloud provides ways to transform business. If SAP is a proxy for what’s happening in the market then that isn’t the case in the mid market. More research is needed here. Whether BYD shrivels away is an unknown. If that happens then it will be an opportunity wasted that will hurt customers and SAP’s reputation. 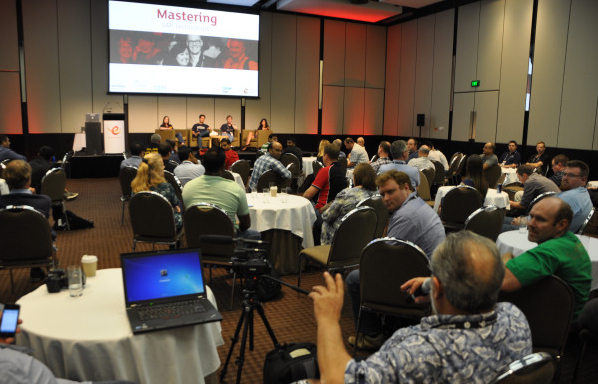 If SAP is able to get BusinessOne into the cloud in workable form then this discussion becomes moot. BusinessOne is a very good solution and more advanced than BYD. That should not be a surprise given its maturity. This quarter’s results are the clearest indication of a company in transition. The fact SAP can point to a relatively small market as the reason for a forecast revenue number miss tells me that core ERP sales are fragile. The HANA and cloud replacements are coming along at a brisk pace but then buyers should not be wowed by the double and triple digit growth numbers. SAP is coming from a small base and would be rightly panned if they achieved anything less. HANA is the future at many levels but, as we will discover, SAP has numerous issues to overcome before it can declare that HANA is mainstream. Right now, Snabe is talking up proof of concept conversions. That’s all good. But I can equally point to customers who are holding back, waiting to hear SAP clarify its messaging, simplify pricing and accurately articulate benefits before they make what, for many, will be a multi-million dollar investment. They’ve been bitten before, they won’t fall for it again. Some weeks ago, Frank Scavo wrote a piece where he chided Motley Fool analyst Richard Saintvilus for a failure to fully understand Oracle’s cloud play. At the time. I said to Frank that financial analyst opinion is important from the ‘due diligence’ perspective because the tech industry is littered with great ideas that fizzled. When companies bet on technology they are assuming there is a longevity to the solutions into which they are buying and so when financial analysts piss on any company we should take notice. However….financial analysts have a specific set of agendas: either to pump or short a stock valuation. They usually have little clue about buyer behaviour and, if my observations are correct, blank out observations that challenge their position based models. 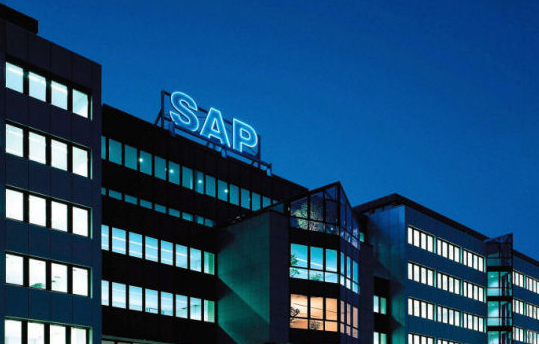 At their worst, financial analysts presume to know what is happening inside a company based upon thin data which is then extrapolated to represent ‘fact.’ Such is the case with Peter Goldmacher’s ‘analysis’ of SAP’s revenue. Then we come to the core. Here, growth is in single digits overall with analytics accounting for “high” single-digit growth. Here Snabe says that going forward, the company expects the recently announced Business Suite on HANA to boost sales. In an earnings conversation with Jim Snabe, co-CEO SAP, he acknowledged to me that growth in the core business was in ‘low single digits.’ So what’s new here? Nothing. SAP has known for some time that core apps growth would at best be flat to marginally accretive. That is because the latest iteration of the big money spinners are really upgrades to old products. SAP is instead pinning its future on HANA as much more than a database and anyone who is bucketing in the database camp is utterly missing the point. HANA is much more than that. While it might have started out as a poorly thought out (Oracle competitive) database play, it is a development environment that is providing ISVs with extraordinary opportunities to rethink business processes as well as providing the real time platform for both analytics and the transactional systems. This is a big topic and given the attention span of most financial analysts, it is hardly surprising that they come to screwy conclusions. The fact that Goldmacher finds it difficult to find solid examples of HANA momentum doesn’t mean they do not exist. The fact Goldmacher fails to back his conclusions with anything other than speculation should tell you all you need to know. The real problem is that SAP has yet to find a model where partner innovation can be scaled so that everyone in the ecosystem benefits. SAP is keenly aware of this and is working to fix the problem. When (not if) it does, then I suspect the doubting Thomas’s will be made to eat their words. In the meantime, the ever positive Morgan Stanley jumps to SAP’s defence, albeit acknowledging the possibility of discounting in other areas to sweeten the HANA pot. SAP is paranoid about getting revenue recognition wrong – there’s a team of some 70 people working on this topic. SAP marketing is often haphazard. One minute HANA is an Oracle killer, next it is the future of the Business Suite. I have little sympathy for these mis-steps yet understand why they occur. SAP’s obsession with ‘beating out’ Oracle is self defeating, drawing attention away from what it does best. Getting HANA POCs converted to enterprise licences as Snabe has promised is the real metric to which people should be paying attention. Seeing Business Suite on HANA momentum is SAP’s next main target. Watch for SAPPHIRE Now announcements. If they are thin on the ground then SAP is stumbling. If not, and customers are talking value, then Goldmacher’s worries disappear. Last year I visited Sydney, this year it was Melbourne and as part of the gig I dropped in on Xero. It was a tremendous couple of hours that provided some jaw dropping moments. Professional businesses that are willing to make transformational change experience some pain in order to develop a new culture of customer service that is cloud centric. Benchmarking against industry norms is happening. Recent growth for one practice was 40 percent in eight months. That mirrors what I saw from talking to The WOW Company where they are talking 50 percent growth. OK – these are only two data points but at opposite ends of the world. A trend in the making? Gen Y/Millenials coming into the profession do not want to be number crunchers. They want to be business analysts and advisors that have direct client contact. Accounting has become social! Professional accounting can be fun. Seriously! Social tools can and do help growth. Although it is not part of this cut, one practitioner who started from zero two plus years ago reckons he gets 80 percent of referrals via Twitter. Being global is a reality. One practitioner talks about servicing the needs of customers based outside Australia but with local needs. Finally…I was treated to a flat white coffee made by Chris Ridd, managing director Xero Australia. When I asked – ‘So you know how to drive a coffee machine eh?’ The unsurprising answer was: ‘All our staff are given a day’s training as baristas.’ How cool is that? Bonus points: here is a video I recorded with Chris, talking about the explosive growth Xero Australia has seen in the last year. They’ve gone from 16,000 to 40,000 customers in a year. What’s the state of the cloud market in Russia? On a fleeting visit to San Francisco, EuroCloud VP and cloud blogger Phil Wainewright caught up with Max Chebotarev, chair of the Russian cloud interest group RCCPA, which will shortly become EuroCloud Russia. There’s a lot of interest in cloud in Russia but a lot of it is still private cloud, Max explained. It turns out that credit card or Paypal payment is not a good way to get Russian businesses signed up for services such as Salesforce.com or Microsoft Office 365. Corporate payment cards are not often seen in Russia and it’s a big problem for Russian companies to transfer funds across borders to make payments in Ireland or Luxembourg. If these providers were to team up with Russian payment processors, Max believes they’d make a lot more progress. Max also talked about the upcoming EuroCloud Russia Congress, which takes place on April 24th at the Digital October venue in Moscow. Formerly known as CloudConf, this is Russia’s biggest cloud computing event. Glossary: CIS = Commonwealth of Independent States, the former countries of the Soviet Union.